Length: 7-10mm. 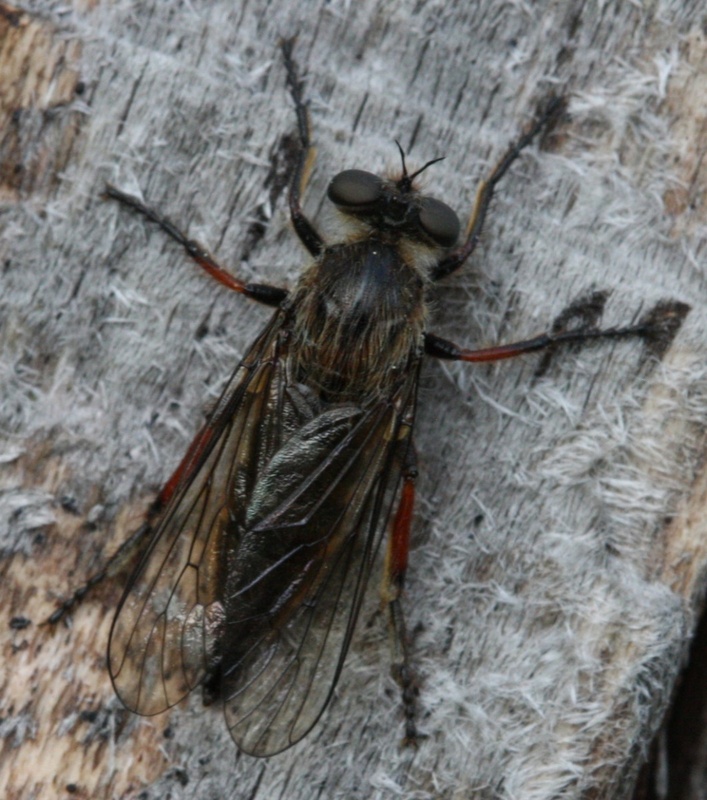 This is a dark fly with black legs except for orange on the tibiae - but this colour doesn't extend to the apex. The genus is distinguished by the thorax having long hairs but no bristles. The female's ovipositor is dorsolaterally flattened. The only other European species in the genus is the rare L. vitripennis which has more brightly reddish legs and with orange on the metatarsi (black in brevirostris). In many parts of the UK this is a species found on chalk grassland but species in the Midlands seem to have a less specific habitat preference. Local and but widespread in Britain. The New Lount record below is the first known in Leicestershire and Rutland.